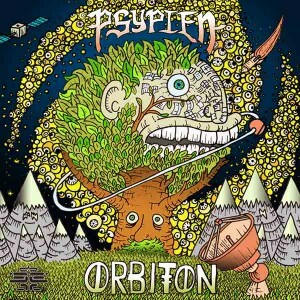 Orbiton is a collection of three songs by Psypien released on the first Lebanese psytrance label, Psyde Effect Records. Hand-crafted in New York by Austrian artist Oliver Z/L, this release is a statement that flows along the edges of forest, dark, and twilight night music. Prepare your ears for a marriage of forest-inspired sounds and dark urban grooves topped by creepy melodies. Mastered at Anti-Logic, Berlin, with artwork by Olli Vainamo. MP3 Download | FLAC Download | WAV Download · Download count: 6,838. Big up to Ektoplazm and Psyde Effect Recs! Great tracks! Love this guys sound. Amazing tunes , keep blowing us away ! HERST OIDA WAS IST MIT DIR? Killer. These low votes are a joke, people must be deaf. where can I get your older music, man? first 2 I liked more. Thank you for sharing.